Patsy Ruth Beyer, age 87, went to be with her Lord on Tuesday, October 24, 2017. She was born in Waco to parents, Milton and Hallie (Nash) Pewitt. She attended and graduated from Somerset High School, after which she moved to the San Antonio area and became a homemaker. After the children where in school, she worked for Sears Roebuck as a model and sales clerk, and worked in the advertising department of the Express News, retiring from there after over 25 years of service. Following her retirement, she worked as a realtor alongside her husband. 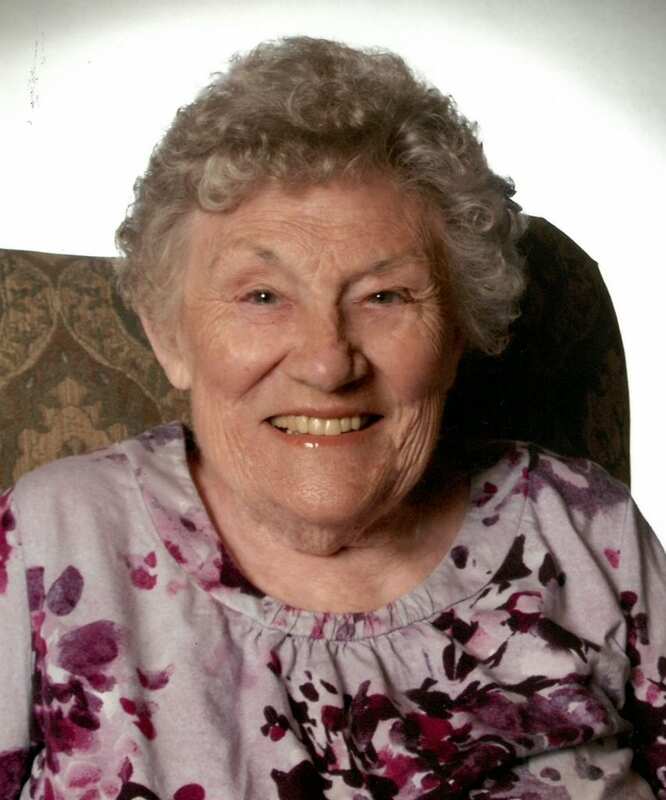 Patsy delighted in her family, loved to sew and loved traveling, especially to the Colorado area. No one can doubt Patsy’s dedication to her church. Even after several illnesses and the loss of the use of her legs, she never missed a Sunday service if she could help it. She was preceded in death by her son, Vernon Tondre, her husband Herbert C Beyer Sr., and her mother, Hallie Baker. Patsy is survived by her children, Larry (Gayle) Tondre, Rev. Herbert (Lisa) Beyer, Jr., Adele (Frank) Junfin, Marjorie (Randall) Kline, Renee (Lawrence Garza) Tondre-Garza, and Patrice (Gary) Horner; 14 Grandchildren, 15 Great-Grandchildren and her beloved Aunt Frances Harwell. Service was held on Friday, October 27, 2017 at The Good Shepherd Lutheran Church, 2507 E. State Hwy 97 in Pleasanton with interment in Mission Burial Park North. Arrangements were with Porter Loring Mortuary, 1101 McCullough Ave., San Antonio, Tx. 78212 – (210) 227-8221.